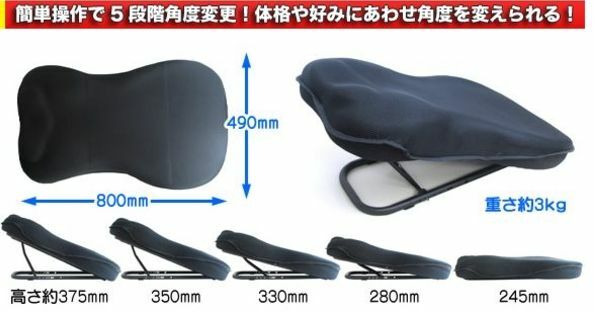 I know that I could personally use this cool cushion from Thanko. 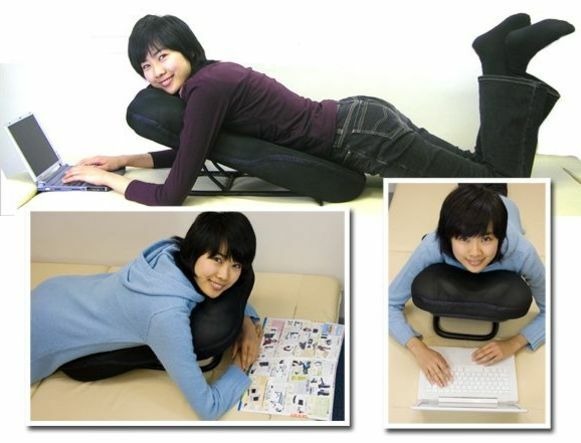 Their “Lazy geek’s Cushion” allows you to sit and use your laptop, read a book, or virtually anything you can do on the floor. The cushion can incline all the way up to 375mm so you can get the perfect angle of attack to work comfortably. I love to lay on the floor and work. I have tried arranging pillows on my bed to give a similar arrangement, and it just doesn’t work out as what I am doing is too far in front of me. Could you use this cushion too? Via Akihabara News.